- Think of what you'd like convey in the headshots; corporate, consultant, people's person, doctor, actor, etc. etc. This will not only help you mentally prepare, but also guide you in your selection of clothes. - Sleep well the day before - it's hard work being in front of the camera for an hour or more, so it's important you're fit and ready for it and not too tired. - If you need a haircut, get it a few days before your shoot so your hair has a chance to 'settle down' and you get to know your new style before the shoot. - Bring clothes that you love to wear - it shows immediately if you're uncomfortable in the clothes; it's fine to bring brand new clothes but also make sure to bring some of your old favorites. - Bring two or three changes of clothing so you can experiment with contrasting colors before we begin. You only need the top half of the outfit for “head and shoulder” type headshots. - Usually solid colors in dark or light tones look good and shirts with jackets always works, too, so be sure to bring that. If you have specific colors that look good on you, bring clothes in these colors too. - An important part of making you look good and strong is your neck and neckline, so I prefer shooting with clothes that doesn't cover the neck too much; collars work fine for both guys and ladies, but for ladies they should not be too big as this visually brings the chin too close to the shoulders. - Eyeglasses can cause reflections that obscure the eyes, so the best thing to do is borrow a pair of empty frames from your optometrist. Most optical stores are willing to loan you an empty pair for a portrait session if you leave a security deposit. - Feel free to work with a professional hair and makeup stylist, but don’t be “overdone”. You want to look like you! - Go get tanned on the day or the days before the headshot; your skin will most likely be damaged by the sun and this will show in the headshot. - Select very bright or reflective colors for your clothes as bright and reflective colors will reflect on your skin. - Don't wear loud stripes or checks. Avoid herringbone. And unless turtlenecks look awesome on you, leave them at home. - Worry. 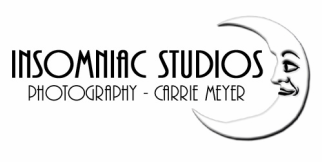 It's actually fun and you'll leave the studio with some of the best pictures ever taken of you!